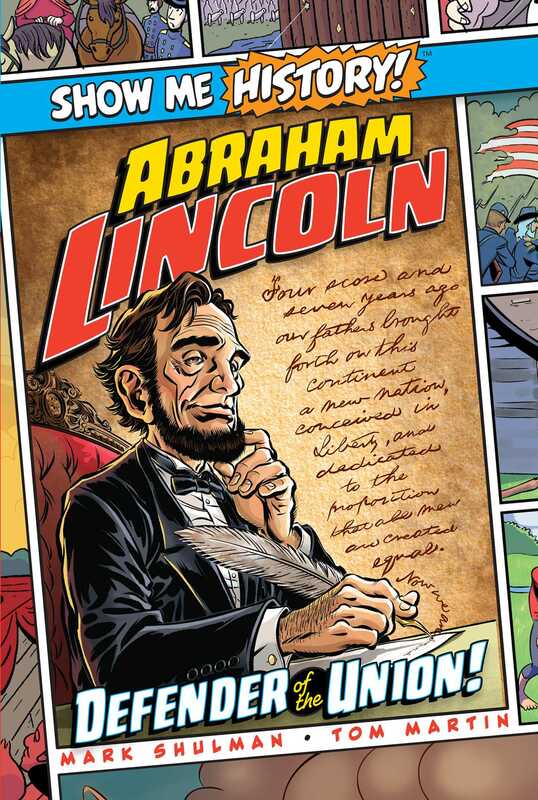 The inspiring story of Abraham Lincoln’s life, in graphic novel format. Mark Shulman has been writing his entire life, including nonfiction books for every age, picture books, preschool books, trivia books, sticker books, a voodoo book, movie tie-ins, comics, and authorized biographical picture books of Oscar de la Hoya (the boxer) and Shamu (the whale). His novel, Scrawl, was named an ALA Best Fiction title. Mark's also written TV commercials, ads, brochures, marketing plans, stand-up comedy, NPR local news, New York City tours (for bus and foot), a Times Square billboard, and a slogan for a fishing contest. All in all, Mark's written more books than Jonathan, the oldest living tortoise, has had birthdays. Tom Martin is an illustrator, writer, and musician. He's done work for Hasbro, Dark Horse Comics, Goodman Games, True Confections, Make-A-Wish Foundation, and Kitchen Sink Press. Tom is the founder, writer, and artist of thrash metal band Lich King. He lives in Massachusetts with his dog, who's very cute but needs to stop barking in the middle of the night. Book Cover Image (jpg): Abraham Lincoln: Defender of the Union! More books in this series: Show Me History!